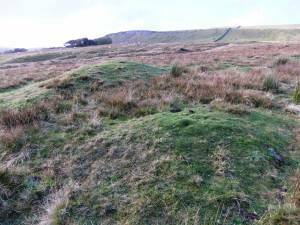 Record Name Burnt mound in pasture east of Whitfield Gill Plantation. 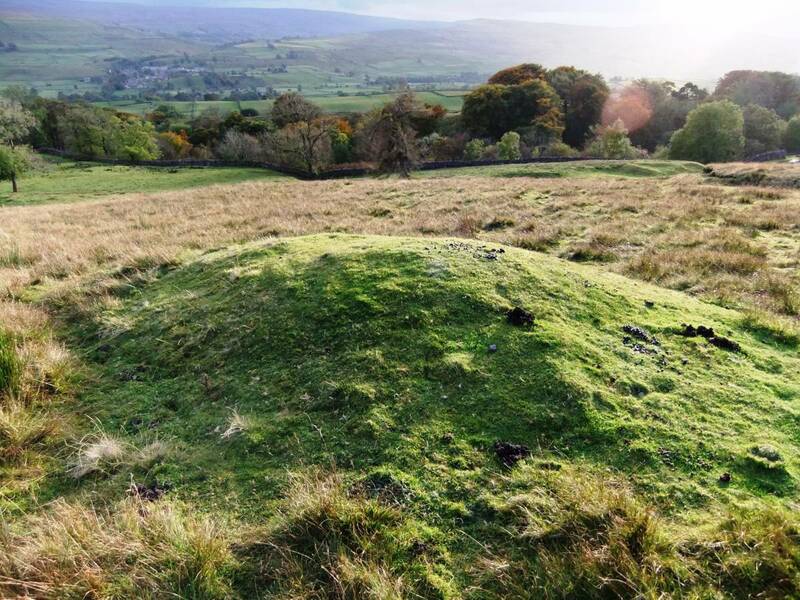 Record Description This medium size burnt mound, the second of an open group of four burnt mounds in Askrig pasture, is located on steep sloping pasture some 300m east of Whitfield Gill Plantation and close to a Lead Mine Hush, at an abandoned spring rise. 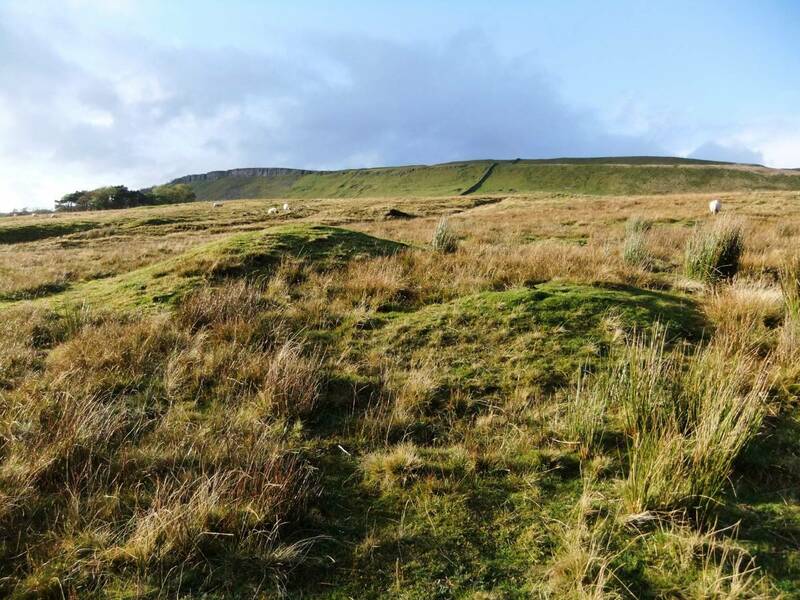 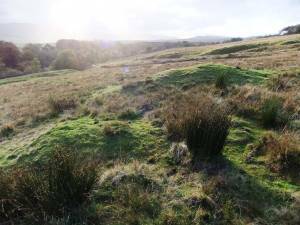 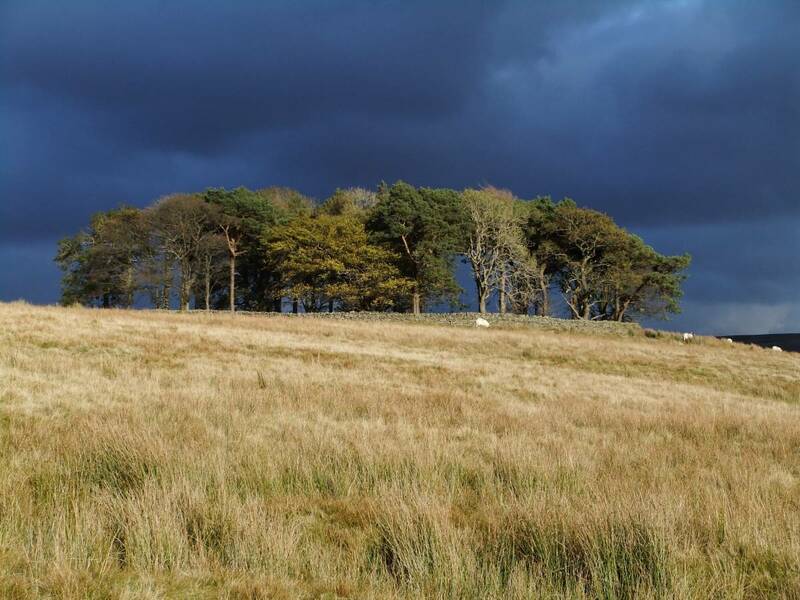 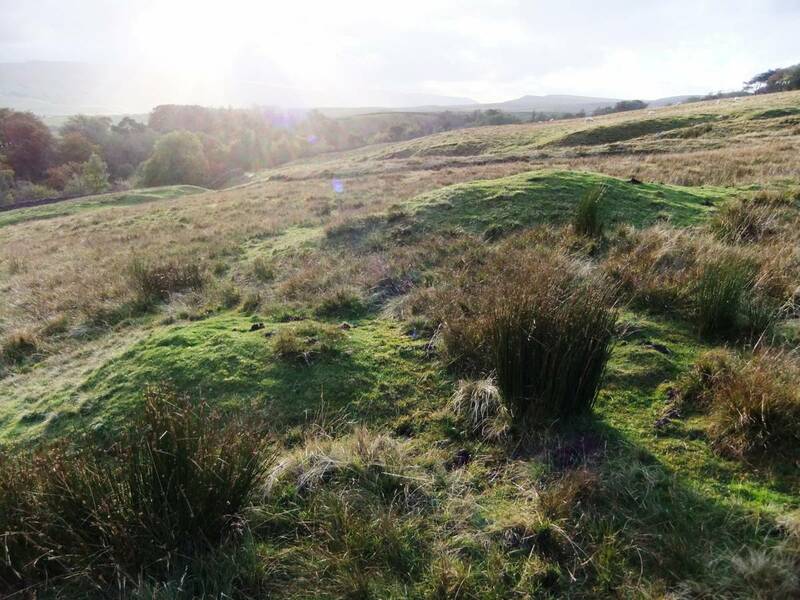 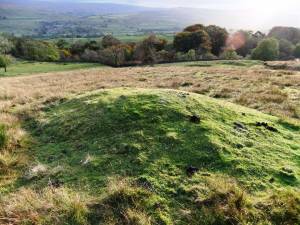 The site comprises two seperate turf covered distinct mounds of burnt stone measuring 11m * 8m overall. 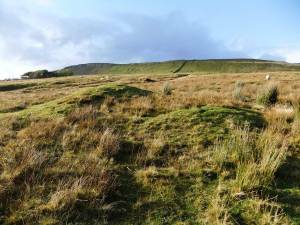 Image 1 Description Whitfield Gill Plantation. Image 2 Description ASkrig Pasture Burnt Mounds, Site 2.